Platten Press for block prints 20 x 25cm .. Silk Cut Grey - 180cm wideGrey lino known as Silk Cut, has been specially made for artists. It is softer and less dense than the traditional brown lino. ..
30 x 30cm Silk Cut Grey - single sheetGrey lino known as Silk Cut, has been specially made for artists. It is softer and less dense than the traditional brown lino. 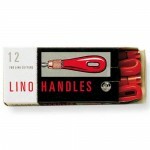 ..
30 x 30cm Silk Cut Grey - 50 sheetGrey lino known as Silk Cut, has been specially made for artists. It is softer and less dense than the traditional brown lino. 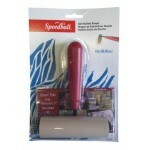 ..
SPEEDBALL - 100mm in metal casingThese soft rubber brayers are ideal for printmaking, scrapbooking, stamping, papercrafting etc. 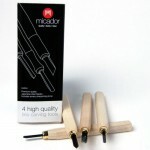 The soft, natural gum roller with precision ground finish picks up more ink than harder brayers and assures even ink distribution. 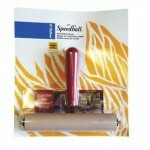 The heavy-duty steel frame eliminates wa..
SPEEDBALL - 150mm in metal casingThese soft rubber brayers are ideal for printmaking, scrapbooking, stamping, papercrafting etc. 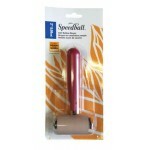 The soft, natural gum roller with precision ground finish picks up more ink than harder brayers and assures even ink distribution. The heavy-duty steel frame eliminates wa..
SPEEDBALL - 50mm in metal casingThese soft rubber brayers are ideal for printmaking, scrapbooking, stamping, papercrafting etc. 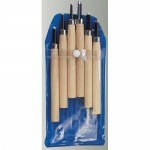 The soft, natural gum roller with precision ground finish picks up more ink than harder brayers and assures even ink distribution. The heavy-duty steel frame eliminates war..
100mm - 50MM DIAMETER SOFT ROLLERS..
160mm - 50MM DIAMETER SOFT ROLLERS..
210mm - 50MM DIAMETER SOFT ROLLERS..
235mm - 50MM DIAMETER SOFT ROLLERS..
Premier No. 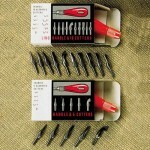 118 - Set 6..
Sakura Quality Sharp Tools - Set 4..
LA 25/5 Boxed-5 types - 25pc..
Micador L4 with sharpening stone - Set 4..